This is a very good deodorant. It goes on smooth and the scent is light and lasts most of my day. 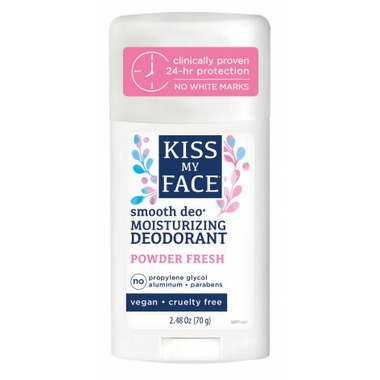 I love the Kiss My Face products.